The Bund area, an elevated riverside promenade beside the Huangpu River, in Shanghai on September 15, 2008. 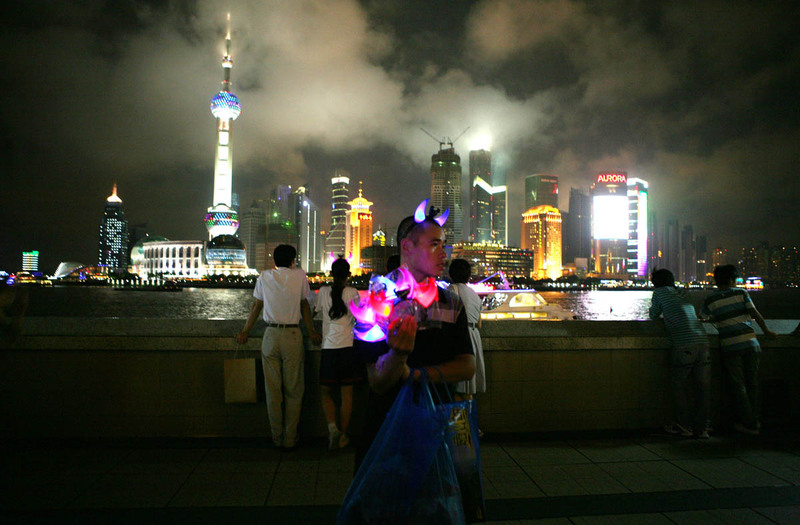 In this photo a vendor hawks glow-in-the-dark devil horns while the Pudong business district can be seen across the river. The World Expo 2010 will be hosted by Shanghai with the theme “Better City-Better Life” highlighting the city’s newfound status as a major economic and cultural hub.